Our mission is to make bicycling, walking and wheeling so safe, convenient and fun that people choose clean, active modes of travel and recreation. We are dedicated volunteers and organizations. 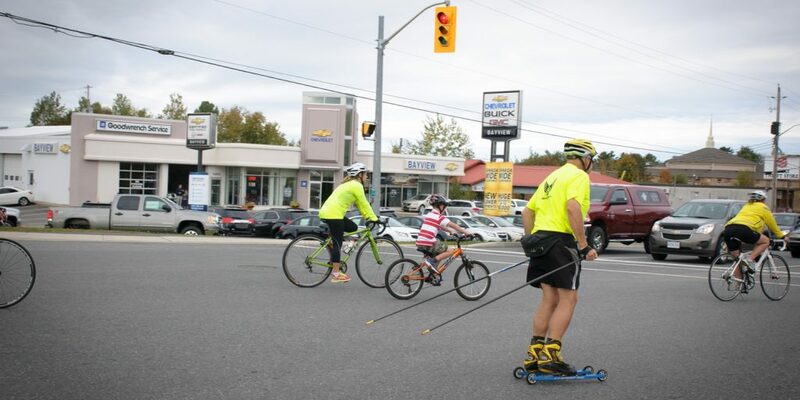 We host events like the Fall Fun Ride, and promote provincial and national campaigns like Bike Month to celebrate active transportation. We build support for policy that prioritizes and protects bicyclists and pedestrians. We promote related activities of our community partners. We research trends in public use of active transportation. More people want to ride their bikes regularly. We advocate for trails, cycling routes, and signage. We promote opportunities to include cycling and pedestrian facilities in the development and re-construction of infrastructure. We work with our community and municipal partners to plan, gather information, secure funding, and celebrate success. We build skills and promote safety with programs like Share the Road and CAN-BIKE.